PRIME Minister Narendra Modi on Thursday launched a scathing attack on the Congress-led opposition, asserting that the “mahamilavati gang” is scared that if he comes to power again, their “shops” of corruption and dynasty politics will shut down. 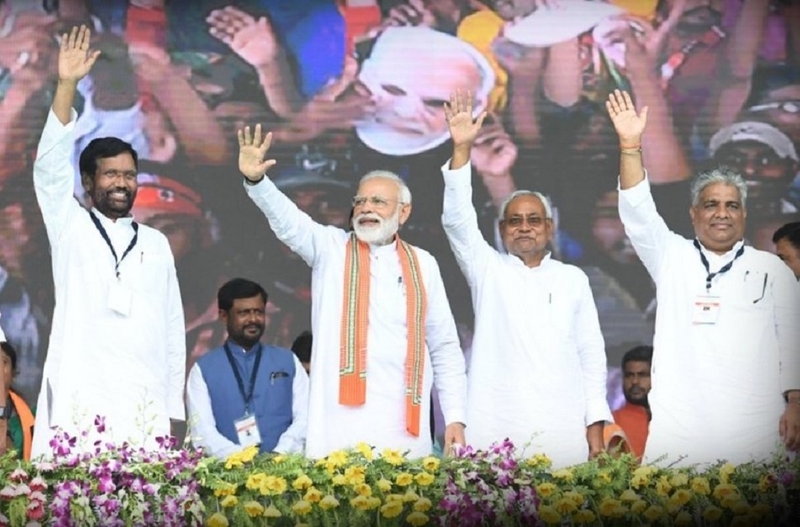 Addressing an election rally here, Modi also said the Opposition wants to strip the Armed Forces of their special powers, while the NDA Government strives to give full liberty to jawans to deal with terrorists and Naxals. “The mahamilavati gang is actually afraid of something else though it may have other pretensions while scaremongering. They fear that if Modi comes to power again, their shops of corruption, dynasty politics and venal defence deals will shut down,” he said. The Prime Minister said his Government has been making efforts to bolster the quota system introduced by Dr Babasaheb Ambedkar. “The fact remains, this ‘chowkidar’ of yours has been making all efforts to strengthen the quota system introduced by Dr Babasaheb Ambedkar,” Modi said. Bihar will witness a seven-phase polling for its 40 Lok Sabha seats.